When you have a child, there are so many things you need to figure out! From what to feed them to what toys they should play with and everything in between! One decision many parents struggle with is when their child should wear shoes. Many parents feel their child should wear shoes immediately while others feel they should wait until they are walking. If you do wait, there are steps you should take in order to choose the best type for your child. Fit: One of the most important areas of choosing the right shoes for your child is the fit. You must take them to someone who can properly measure their length, width, and depth of their feet. Remember kids feet grow quickly and it is not unusual to replace their shoes every 2-3 months. Construction: Your shoes consists of the upper, the insole, the outer sole and the heel. The best pair of shoes for your child should be constructed properly in each of these areas and of the best materials. 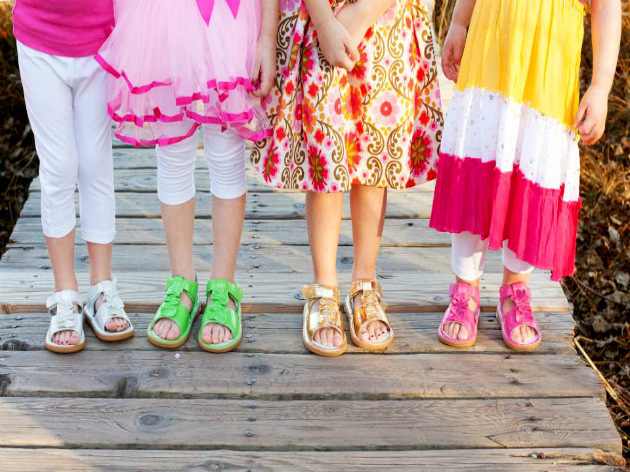 Foot Problems: If your child has any foot issues like being pigeon toed, a flat foot or high arch, you should inquire about shoes which are made for these particular problems. Corrective shoes may be required in this case. Style: We want our kids to look adorable, but with shoes, form should always take priority over fashion. Kids need nice and sturdy shoes which will help them walk properly. High heeled shoes are not going to give you that. Age Appropriate: Shoes are different for kids, depending on where they are in their development. The shoes you buy for an infant are different from those you buy for a toddler. Be sure the shoes you are buying for your child are made for their age group. Just because you want a solid pair of shoes for your little one, does not mean they should be ugly! Your child should show their personality through their dress just as we do. If you can find shoes for kids which are cute, have a purpose and are affordable, you have hit pay dirt! With the shoes from Wee Squeak, you get all those features and more! 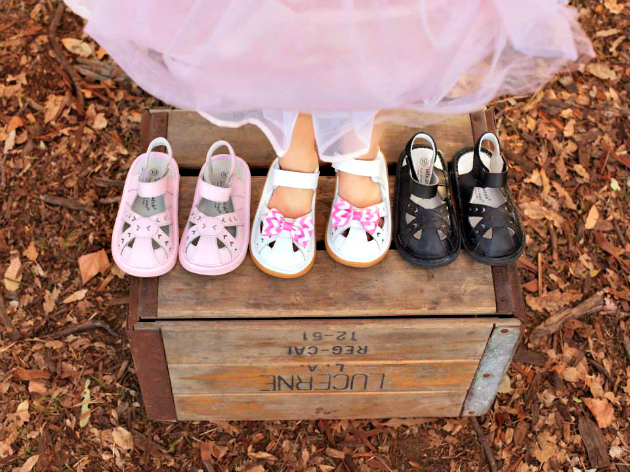 These cleverly designed shoes help your child walk with the proper heel-to-toe fashion and are adorable as well! Oh, and they squeak when the kids walk too! With the innovative Wee Squeak footwear, your child will hear a squeak with each step they take. Think of how much your toddler will love to hear that sound each time they walk! Since 2005, the folks at Wee Squeak have been helping kids learn to walk with proper form while they get their squeak on! When you are ready for some quiet in the house, the squeakers can be easily removed by an adult. With their glittery touches and beautiful details, the Wee Squeak shoes are perfect for your little one. They use soft, durable materials of the finest quality which have a flexible sole construction. Wee squeak shoes, sandals, and boots fit well, are long lasting, which are perfect for active toddlers and they will not bust your budget. You can choose from styles for boys and girls and if you are from Canada, you can shop at the Wee Squeak Canada online store. Be sure to follow Wee Squeak on Twitter and Pinterest. One USA or Canada reader will win a $50 Wee Squeak GC. See how Mason loves his shoes in the video below! At what age did your child receive their first pair of shoes?